Kenneth D. Tuchman is a pioneer in modern business process outsourcing practices. He founded TTEC in 1982 and has built the company into a leading authority on complex relationship management. TTEC was the first firm to depart from the traditional model of the teleservices industry to focus on the more expansive concept of strategy and execution across the entire customer lifecycle. Tuchman's unique understanding and perspective on the importance of the customer as a strategic asset fuels TTEC's culture of innovation and commitment to excellence. Ultimately, this revolutionizes the industry through the development of progressive front-to-back-office products and services that truly maximize customer interactions. Tuchman has served as chairman of the board of directors and chief executive officer for TTEC continually since its formation. Today, TTEC is a leading global provider of relationship lifecycle and business process services and continues as the foremost innovator in the business process outsourcing industry. Steven Anenen was elected to TTEC’s board of directors in May 2016 and serves as a member of the Nominating and Governance Committee and Executive Committee. Starting in 2018, Mr. Anenen joined the board of directors for DealerSocket, a customer relationship management and digital marketing software company specializing in the automotive industry. In 2014, Mr. Anenen led the spin-off of the Automatic Data Processing (NASDAQ: ADP) Dealer Services Group to create CDK Global (NASDAQ: CDK); and served as CEO and a member of its board of directors between September, 2014 and March, 2016. 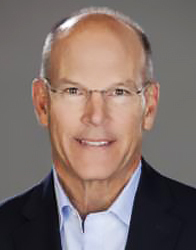 Prior to the CDK spin-off, Mr. Anenen spent almost 40 years with ADP, serving as the president of ADP Dealer Services, a leading provider of technology solutions to the automotive industry, between 2004 and 2014, and senior vice president North America Systems between 1998 and 2004. 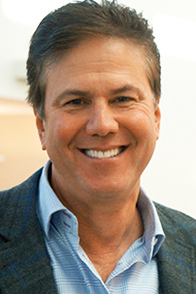 During his tenure with ADP, Mr. Anenen oversaw the global expansion of the business into more than 100 countries, grew the dealer services business to over $2 billion in revenue, and led the transition to digital through the transformational acquisition and integration of Cobalt, a leader in digital marketing for the North American automotive industry. Tracy L. Bahl was appointed to the board of directors of TTEC in July of 2013 and serves as Chair of the Compensation Committee and is a member of the Nominating and Governance Committee and the Executive Committee. Mr. Bahl currently serves as President and CEO of OneOncology, a General Atlantic backed company partnering with oncology centers across the country to provide administrative, operational and scientific services in support of their practices. Between November 2013 and July 2018, Mr. Bahl served as executive vice president, health plans for CVS Health. From 2007 to 2013, he served as a special advisor to General Atlantic, a leading global growth equity firm with U.S. $20 billion in capital, and its portfolio companies. Between 2013 and 2015, Mr. Bahl served as a member of the board of directors of MedExpress, a chain of urgent care service centers throughout the United States; and between 2008 and 2011 as the executive chairman for Emdeon, a provider of health information exchange and revenue cycle management solutions. Between 1998 and 2007, Mr. Bahl held various senior executive positions as part of UnitedHealth Group, including between 2004 and 2007 as the chief executive officer of Uniprise, a U.S. $7 billion division of UnitedHealth Group; between 2002 and 2004 as chief marketing officer for UnitedHealth Group; and between 1998 and 2002 as the president of Uniprise Strategic Solutions. Prior to UnitedHealth Group, Mr. Bahl was an executive with CIGNA Healthcare. Mr. Bahl also serves as trustee and vice chairman of the Board of Trustees of Gustavus Adolphus College in St. Peter, MN. Gregory A. Conley was elected to the board of directors of TTEC in April 2012 and serves as Chair of the Audit Committee and is a member of the Compensation Committee. Mr. Conley is also a director of HaulHound.com, a trucking logistics company. Between 2012 and early 2014, Mr. Conley served as the chief executive officer of Aha! Software, LLC, a privately held predictive analytics and cloud computing company. Between 2009 and 2011, Mr. Conley served as the chief executive officer and a director of Odyssey Group, SA, a Switzerland-based technology services and software company, and oversaw the sale of the company to Temenos Group AG, a global provider of banking software systems. Between 2004 and 2005, Mr. Conley was the president, chief executive officer and a director of Verio, Inc., a leading global provider of hosting and network services and a subsidiary of Nippon Telephone & Telegraph. From 2001 to 2003, Mr. Conley was the president, chief executive officer and a director of Tanning Technology Corporation, a NASDAQ listed information technology solutions provider, sold to Platinum Equity in 2003. Between 1995 and 2001, Mr. Conley was a senior executive responsible for e-markets and travel and transportation at International Business Machines (NYSE: IBM) and an attorney at Covington & Burling LLP. Robert Frerichs was elected to the board of directors of TTEC in August 2012 and serves as a member of the Audit Committee, Compensation Committee and Chair of the Nominating and Governance Committee. Mr. Frerichs is a director of Wedgewood Enterprises Corporation, a privately held investment real estate and management company. 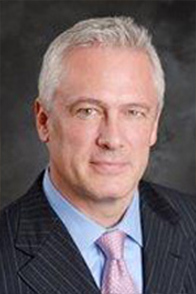 Prior to joining our board, Mr. Frerichs was with Accenture (NYSE: ACN) between 1976 and 2012. 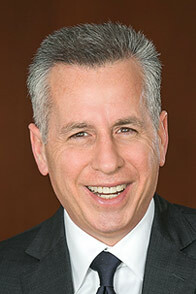 During his tenure with Accenture, Mr. Frerichs held various leadership roles including group chief executive – North America, chief risk officer and chief operating officer of the communication and high tech operating group, chairman of the capital committee, and a member of Accenture board of partners prior to the Company’s initial public offering in 2001; culminating his 36 year career as the International Chairman of Accenture, Inc. Mr. Frerichs served as a director of Merkle, Inc., a privately held customer relationship marketing agency from 2012 until it was acquired in late 2016. Between 2004 and 2012, Mr. Frerichs served as chairman of the board of Avanade, a joint venture between Accenture and Microsoft. Between 2012 and 2013, Mr. Frerichs was the chairman of the Aricent Group, a global innovation and technology services company, and a director of Cyandia, Inc. an interactive consumer entertainment company. Mr. Frerichs is a Certified Public Accountant. Mr. Holtzman joined TTEC’s board of directors in July 2014, and served on our Audit Committee from 2014 to May 2016. 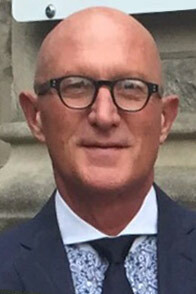 Mr. Holtzman currently serves as Chairman of the board of the Bank of Kigali in Rwanda and is a member of the board of FAT Brands Inc. (NASDAQ: FAT). From 2015 to 2017, served as a member of the board and Chief Executive Officer of Kazkommertsbank in Kazakhstan. From 2012 to 2015, Mr. Holtzman served as a member of the board of FTI Consulting, Inc., (NYSE: FCN) a global financial and strategic consulting firm, where he was a member of the nominating and governance committee. Mr. Holtzman served as the Chairman of Meridian Capital HK, a Hong Kong private equity firm from 2012 until 2014, and as the executive vice chairman of Barclays Capital from 2008 and 2012. 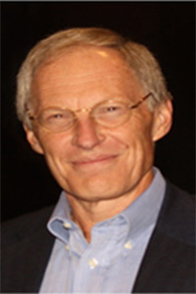 Between 2003 and 2005, Mr. Holtzman was President of the University of Denver. He also served in the cabinet of Governor Bill Owens as Colorado’s Secretary of Technology between 1999 and 2003. Ekta Singh-Bushell was elected to the board of directors of TTEC in May 2017 and serves as a member of the Audit Committee and Nominating and Governance Committee. From 2016 to 2017, Ms. Singh-Bushell served as deputy to the first vice president, chief operating officer executive office, at the Federal Reserve Bank of New York. From 2015 to 2016, she was a partner at DecisionGPS LLC, a business analytics start-up; she continues to serve as a strategic board advisor to the company. 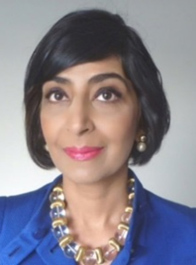 Beginning in September 2018, Ms. Singh-Bushell has been serving as a member of the board for DSW, Inc. (NYSE: DSW), a leading footwear and accessories retailer, where she is a member of the audit and nominating and corporate governance committees; and as a member of the board for Net 1 UEPS Technologies, Inc. (NASDAQ: UEPS), a leading provider of secure payment technologies and transaction processing services between conventional businesses and those without access to traditional banking channels, where she is a member of the nominating and corporate governance, audit and remuneration committees. Since 2015, she has been serving as a member of the board of directors for LifeStream (Taxonometrics, Inc). Between 1998 and 2015, Ms. Singh-Bushell worked at Ernst & Young, serving in various leadership roles including global client services partner between 2005 and 2015, global and Americas IT Effectiveness leader, Northeast advisory people leader, and US innovation & digital strategy leader and Chief Information Security Officer. Ms. Singh-Bushell is a licensed certified public accountant (CPA) and holds advanced international certifications in governance, information systems security, audit, and control. From 2004 to 2014, Ms. Singh-Bushell served in various leadership roles including treasurer and audit committee chair for the Asian American Federation.